ArcelorMittal is introducing its digitalisation projects at Stuttgart’s Blechexpo – the international trade fair for sheet metal working - from 7-11 November 2017, with a particular focus on the digitalisation of supply chains. 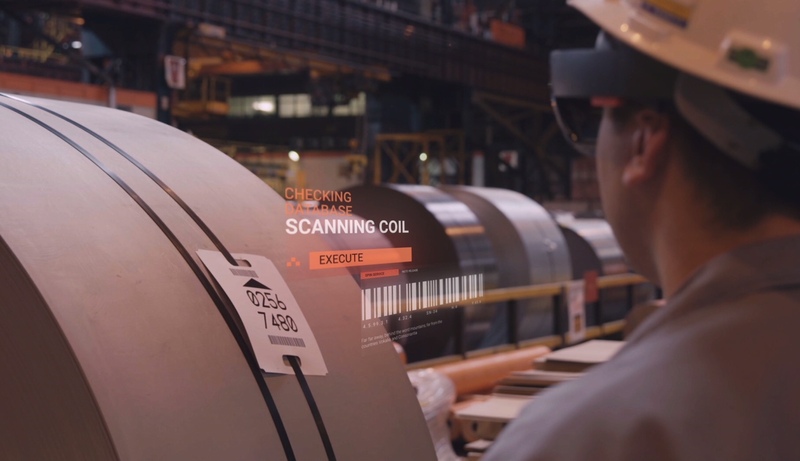 “Projects include automated and digitalised order processing from the offer to the customer up to completion of the purchase, followed by online order tracking “, explains Antoine Van Schooten, chief marketing officer for industry and digitalisation at ArcelorMittal Europe – Flat Products. SteelUser.com: the internet-enabled supply chain. From product guide, to order intake and online order tracking up to warehouse management, delivery and invoicing. Digital twin: the coil in the cloud – exchange of quality-related data with the customers. Inventory management with drones: autonomous drones with GPS navigation scan inventories. Inventory levels and availability are measured via video captures in real time. SteelAdvisor app: provision of up-to-date product data for customers. Track & Trace app: shipment tracking for logistical optimisation. “Now we are working – together with our customers - to develop the existing opportunities of the digital supply chain and to introduce new opportunities and to create individual solutions”, said Rudolf Egbert, managing director ArcelorMittal Commercial Germany – Flat Products. With a production volume of 8 million tonnes crude steel, ArcelorMittal is among the largest steel producers in Germany. Its customers come from the automotive and construction industry, as well as from the packaging and household appliances sector. The group runs four large production sites in the country. These are two fully integrated flat carbon sites in Bremen and Eisenhüttenstadt as well as two long carbon sites in Hamburg and Duisburg. Moreover the group has seven steel service centers and 16 distribution centers in the federal republic. ArcelorMittal employs more than 9,000 people in Germany. We are one of the world’s five largest producers of iron ore and metallurgical coal and our mining business is an essential part of our growth strategy. With a geographically diversified portfolio of iron ore and coal assets, we are strategically positioned to serve external market is increasing as we grow. In 2017, ArcelorMittal had revenues of US$68.7 billion and crude steel production of 93.1 million tonnes, while own iron ore production reached 57.9 million tonnes.